What Is It? 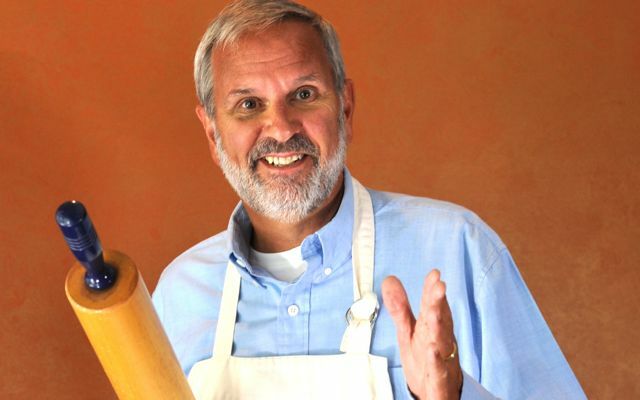 – A hands-on pie making weekend with Ken Haedrich, Dean of The Pie Academy and bestselling author of 14 cookbooks. Where Is It? 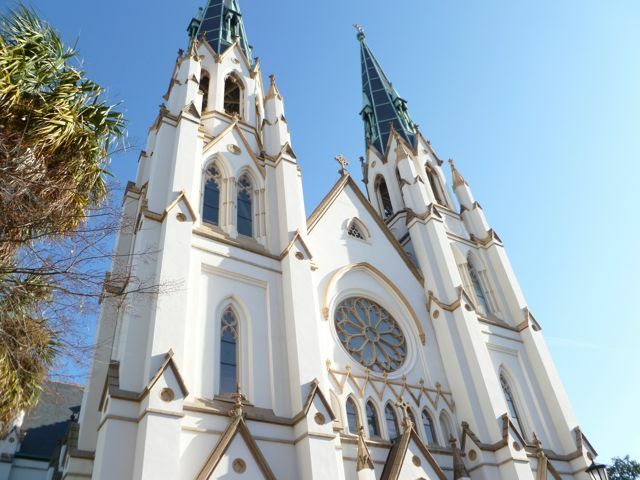 – In beautiful Savannah, Georgia, known as The Hostess City of The South. What’s Included? – 4 days and 3 nights at the historic 1868 Marmaduke Hamilton Estate (semi-private and private rooms); most meals; two half days of hands-on pie making and baking instruction; Welcome Reception with wines and appetizers; Pie Maker’s Swag Bag; Pie and Ice Cream Social; Savannah Trolley Tour; special Sunday Lowcountry Dinner and book signing; optional trip to Savannah Farmer’s Market in Forsyth Park. Is This Event For Me? – We hope so. My teaching style is relaxed and personal; this is not a pie boot camp, competition, or observation venue. We bake. 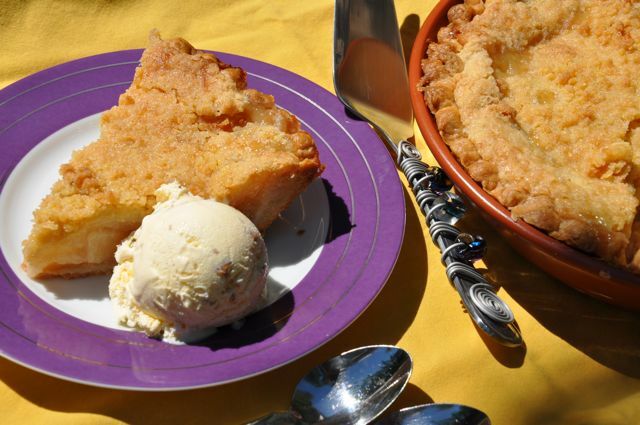 Think of it as a guided tour of a subject we’re both passionate about – making pies – led by someone with more than 40 years of hands-on experience, two best selling pie cookbooks, a popular pie blog, and Julia Child Cookbook Award under his belt. Your guided tour will include a mapped-out pie curriculum, but with enough flexibility built in to accommodate a variety of skill levels, unscheduled mini lessons, and any questions you might have as we proceed. We believe there’s no use traveling to beautiful Savannah without taking a break from the kitchen, so we’re designing the weekend and baking sessions with your downtime in mind. (See below: How Will Classes Be Structured?) So we’ll work hard in the kitchen, then you’ll get to play hard – or relax hard – at your discretion. If this sounds like the recipe for a winning weekend, great! Is There a Pie Baking Theme For The Getaway? – Yes, there’s both a general theme and a specific objective, the latter being to advance your pie making skills so you walk away with the confidence to make most any pie, sweet or savory. (We’ll be making both at the event.) Both the hand method and food processor method for making pie pastry will be covered in detail. We also aim to have a heck of a lot of fun and make some great new friends. As for a theme, we will look to the season for inspiration and bake a variety of fall fruit pies. We’ll also think forward to Thanksgiving, make pot pies from leftovers, and construct a savory tart your holiday guests will adore. There will be plenty of recipe handouts. But – perhaps ironically – one of my goals is to make you less dependent on recipes so you become a more intuitive pie maker, someone who can tap their skills to take full advantage of the situation, the season, or whatever is in the fridge. So we’ll work on all that. How Will Classes Be Structured? – To allow for both personalized instruction and plenty of time to explore lovely Savannah, both Saturday and Sunday will be divided into two baking sessions, with no more than six students in each class. In other words, be prepared to make pie two mornings or afternoons; you’ll be assigned to either a morning or afternoon class. When you are not baking, you are free to explore on your own. There’s plenty to do and we will give you lots of recommendations at the welcome reception on Friday evening. Each morning and afternoon session will include at least one demonstration to highlight key pie making and assembly techniques, but demos will be kept brief in order to maximize hands-on time. What Baking Supplies Will I Need to Bring? – You’ll have enough to schlep as it is; it just wouldn’t be fair to ask you to bring along half of your kitchen, so we’ll provide your baking hardware. In fact, between the pie pan you’ll get to keep…and your Pie Maker’s Swag Bag – which are included – you’ll be going home with a bundle of cool stuff. (We’ll make arrangements to have your haul shipped back home, if you prefer.) It wouldn’t be a bad idea to bring a spare apron. And by all means, wear your most comfortable baking outfit and shoes. We’ll be on our feet a lot! 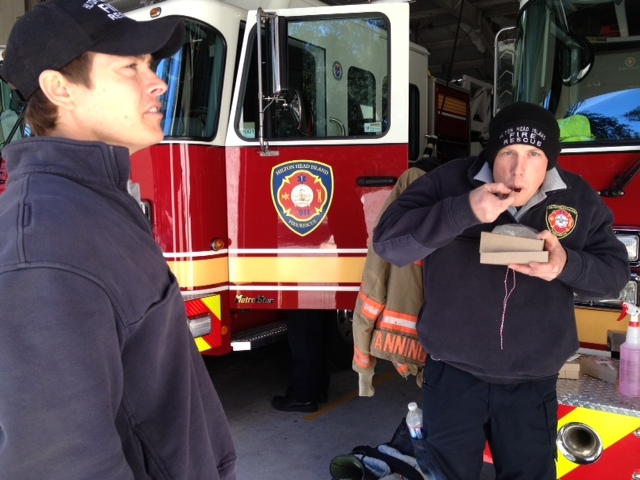 Likewise for Sunday’s baking: whatever we can’t polish off, we’ll donate to either the firemen or a local shelter or soup kitchen. As for showing off for the folks back home, we’ll be shooting plenty of video during the getaway. So you’ll have ample opportunity to mug for the camera, demonstrate your technique, and strut your pie stuff. How Do I Register? – Registration opens Sunday, June 15th, 2014 and is on a first come, first served basis. Space is limited to 12 participants. Request your registration form from Bev; they’ll be emailed out on Sunday, June 15th. Her email is bev@thepieacademy.com. And that’s about it. If you have any other questions, we will be happy to answer them. Send an email to bev@thepieacademy.com. We’d love for you to join us.